Summer is almost upon, but the summer fashion is already in full swing! As you go out to dinner with friends, run errands, and have some fun in the summer sun, you’ve probably noticed some new trends and even some looks that are making a comeback. Here is your summer 2014 guide to fashion. To sum up fashion this summer, we would call it bold, fun, and daring! But not to worry, you can make any of these outfits more reserved, modest, and simple chic. Take a look! The first trend we are noticing a lot of is the maxi skirt. This is such a versatile piece, it’s no wonder everyone is wearing it. What’s great about a maxi skirt is that you can dress it up or dress it down. It can go from a daytime errand running look to a nighttime glamour look. There are two kinds of maxi skirts, one is the plain and solid color which you can pair with fun and printed tops. The other is the printed skirt that you can pair with many solid colored tops. As you can see, the possibilities for a maxi skirt are endless. Another advantage is that you can pack one or two maxi skirts with a bunch of tops and have yourself a ton of outfits which is great for travel. The crop top is another stunner this summer! They are the perfect solution to the summer heat and look super cute and trendy. Crop tops are everywhere in stores so they are made of different materials, they have different cuts and styles, and they can be paired with pretty much everything. This includes some other fun summer staples like the maxi skirt, jeans, shorts, and skirts. Open your closet, dive in, and we are sure you can find at least one thing to pair it with. Crop tops are also versatile because they can be worn on the beach or wharf, used as a bikini cover up, or thrown on to hang out with friends. Shorts are a summer necessity, but stores and designers are far past providing the typical jean shorts. This summer mix it up a bit! There are two major trends that are arising in the shorts department. The first trend that has arisen is the high-waisted shorts. This will show off you long, lean, and tanned legs! Pair this with a crop top and you are good to go! Second, the printed shorts option is very popular right now. 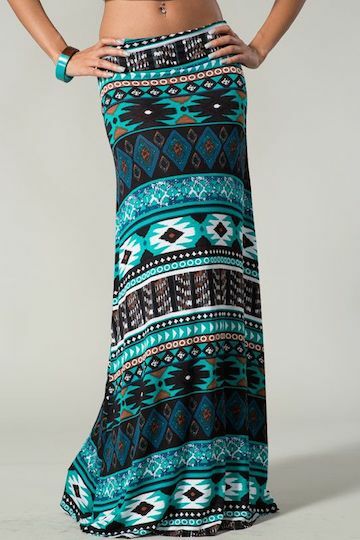 This can be worn with sneakers or flip flops and then a matching solid colored top. If you are daring enough you can wear a printed top and even mix your prints….also super fashionable! If not, you can stay more safe and stick with a solid. Both options for shorts are a perfect look for the summer. Make a statement this summer whether it’s at the mall or by the pool deck with an ultra adorable, stylish, and affordable statement necklace. These can dress up an outfit in an instant. There are various styles such as a girly and simple necklace, the neon necklaces, the beaded and tribal style, and the grunge glamour look. There is definitely a statement piece that will suit everyone’s style. The last summer trend we want to share with you is the printed pants look. This is a bit more bold, but we absolutely love it. These pants are for the fashion-forward, daring and bold women out there. The prints are endless and we recommend pairing it with a solid top. If you want, you can even add a solid colored statement necklace for an extra wow factor–you are sure to draw attention for your fashionable flair. This is the perfect outfit for a chilly or cooler summer night. Which of these summer trends are you loving? If you try any of them, post it on instagram and tag us, we would love to see you rocking these looks! The question was popped, a ring is on your finger, and a date has been set…now what? Preparation is the key to a flawless execution for any event, especially a wedding. Love is in the air, there is a flurry of people surrounding you, and emotions are swirling all around. This is not the time to stress about how you look; so let others take care of it for you! You need to book your hair and makeup artists weeks to months in advance to ensure that they are available for your wedding day. It is also imperative to book them ahead of time, so that you can also schedule a trial run. Trial runs will help your hair artist get a sense of the look you want them to create for you. They must take into consideration your hair length and thickness, your face shape, and the dress. The same hairstyle will look different on every person. To guarantee that you are completely head over heels in love with your hairstyle, read on to see our recommendations. Oval: Having this face shape means that there are no overly pronounced corners on your face and that you face is longer than the width. Oval faces are fortunate because practically any hairstyle will flatter this shape. However, be warned that when hair sits right on top of your head, it will create a face too long. For a simple, beautiful, and dainty look, we suggest loose curls. It will frame your face with soft waves all throughout the night. This is a very romantic style with a feminine touch. If you want a more natural style, curl your hair strands is different directions, but make sure to curl the front pieces away from the face. This will expose your face and make your cheekbones more prominent. If you would like more of an intricate hair design, we recommend an up-do. Pulling your hair back will expose your face and highlight your features while making your face less narrow. Try out different types of buns, messy looks, clean looks, and pick which one you love best. 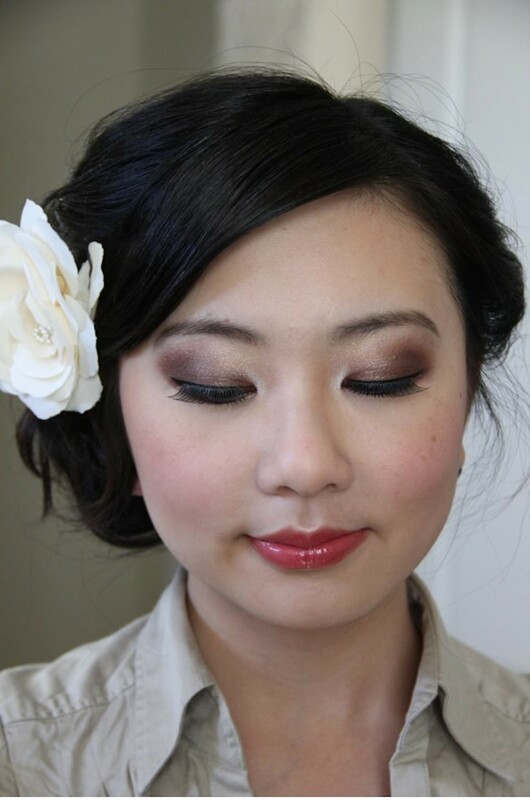 The sky is the limit for oval faces, so pull your hair out of your face and show off your bridal glow! Heart: The characteristics of this face shape include a fuller forehead and jawline that begins to narrow out by the chin. This unique face shape can have many ways to create a more balanced and proportional effect. Bangs are a great way to frame your face to create a narrower forehead. It’s important to try and fill the area around your chin. Brides who have short hair can pull this off with a stylish, chic, and modern bob. Having slight waves can also draw attention away from a narrow chin. For brides with longer hair, a side bun would be perfect for this. Have your hair stylists arrange some side bangs or some strands of hair falling out gently surrounding your face. In order to subdue the difference between the chin and jawline, do not pull the hair away from the face too tightly. A very subtle and classic style is an off-centered part while lightly arranging your hair away from the face. For something more fun or detailed, try a loose twist or braid to crown your head, which can be pulled back into a bun. Square: A square face is indicated with a strong forehead and jawline that are similar in width. This creates the illusion of corners along the face. To soften the corners of your face, bangs are also a great fix to frame your face. Straight hair that just flows down your back creates a simple and effortless look. The hair will act as a border to your face and will mask the angles of your face. This will draw attention to the center of your face, thus creating a subtler jawline and narrower face. However, loose curls can also be styled around your face and will draw attention away from the harsh edges just as nicely. Your hairstyle is very much a personal preference decision that your hair artists will help you achieve. Another quick tip that works wonders for a square face is the placement of your hair part. Styling a side part, will take away from the four angles of your face, creating a rounder look. The ultimate tip for a bride with a square face who wants an up-do is to keep everything loose and flowing. No tight buns because that will increase the noticeable square shape of your face. Round: People with a round face have a softer jawline but more pronounced cheekbones similar to the width of the forehead. 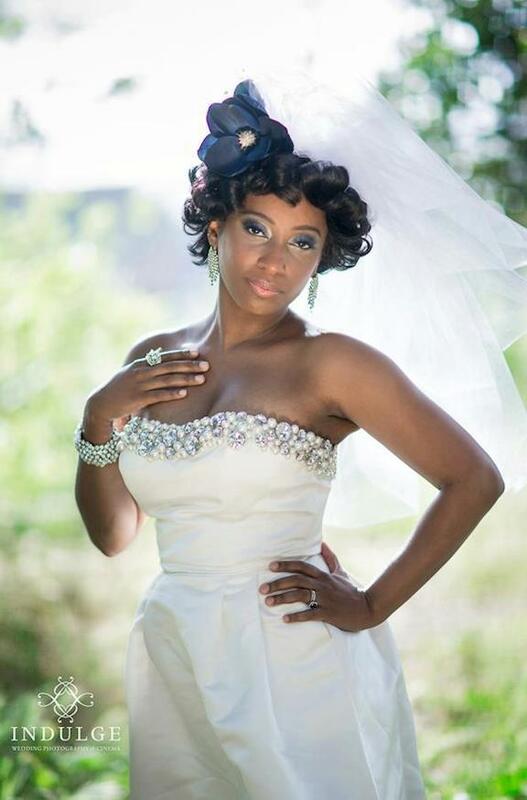 For your perfect wedding hairstyle, there are many different variations that you can choose from. 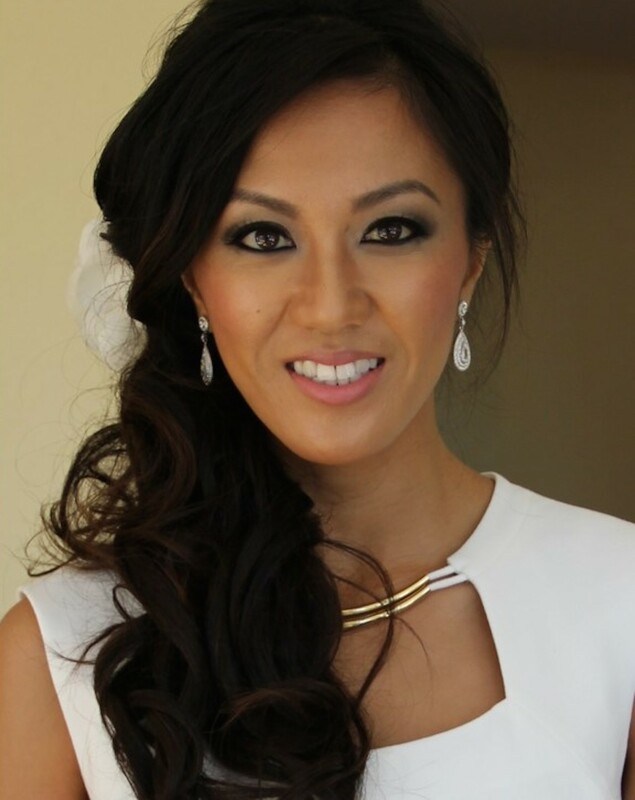 Brides with a rounder face might want to add volume to their hair, but the main goal you want to achieve with this look is a slightly elongated face. For a style with you hair loosely flowing, try a deep side part. This will create the illusion of having more corners or angles to your face. To add volume to a side part, practice with some curls. You can choose more structured curls, loose curls, alternating direction curls, or even glamour Hollywood curls. The choice is up to you! Another gorgeous style to test out is an up-do on top of your head. This will make your face seem much longer. Also you could try a ponytail or bun with a side part. This looks very sophisticated, elegant, and sleek all while highlighting your cheekbones. As you can tell, no matter what face shape you have, there are tons of styles that will look absolutely stunning and gorgeous as you walk down the aisle. Not sure which one best suits you? Don’t worry, that’s why we’re here! Contact us and we can set up a trial session to help you decide what amazing hairstyle you will rock on your magical wedding day.